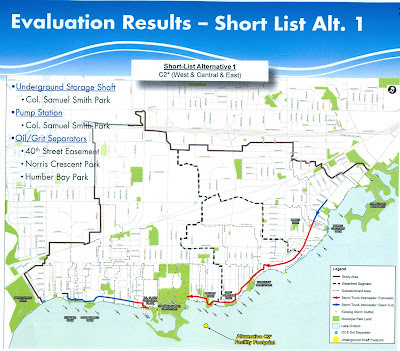 On December 13th, 2010, the City and their consultants presented to the Etobicoke Waterfront Stormwater Management Facilities Study Community Working Group. 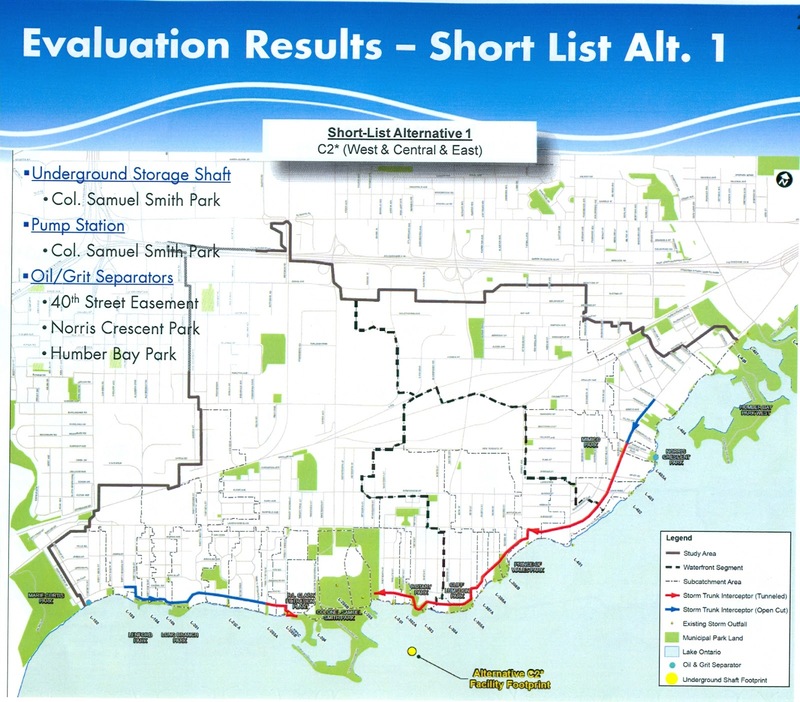 The purpose of the presentation was to share with us the City's preliminary choices for dealing with end-of-pipe stormwater before it gets discharged in to the lake. This was the second meeting with the group (FOSS, CCFEW and Lakeshore Planning Council, as well as some other community representatives, are members). Meeting #1 was about fifteen months ago and that first meeting was followed by a public meeting at which the community was asked to offer submissions on the matter. FOSS, as well as CCFEW and many others, sent in submissions. Click here to see FOSS's submission. To our knowledge, community comments generally aligned with FOSS's position and favoured natural solutions (i.e. wetland, wet-ponds, creek water level enhancement etc.) over engineered designs. The City, in fact, told us that, because of public comments they had received, they gave "Natural Criteria" the top weighting in their evaluation of alternative solutions. Then, to our surprise, their evaluation results showed a totally engineered design as the first choice on their short list! This was pretty well what was shown to the workgroup 15 months ago, before public input was requested. The design involves an underground storage shaft and pump station in Sam Smith Park with buried transfer pipes along streets coming in to the park from east and west. There is no enhancement whatsoever to natural habitat in the park. Rainwater in South Etobicoke would be completely transferred and processed underground as it makes it way to the lake - without any benefit at all the to the natural environment or to public enjoyment. 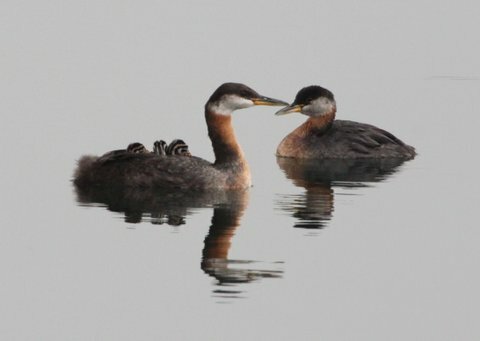 Members of the group made strong pitches for at least some of the water flow to be directed to habitat improvement and suggested that the community at the next public meeting may feel their input has been largely ignored . That second public meeting is proposed for Spring, 2011. FOSS will send details to our e-mail list when they are known. Please call me at 416 251 5930. I cannot access your e-mail through this comment.